Here is a little Easter illustration based off a doodle in my sketchbook. 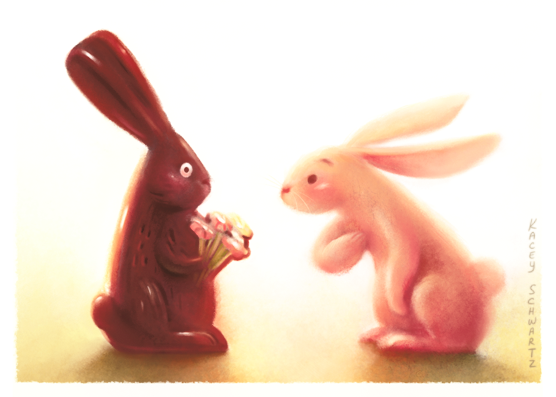 I didn't mind grabbing a chocolate rabbit (or two) for reference :) Hope everyone is having a beautiful Easter weekend. Lovely as usual. Happy easter too. Welcome to my art blog! I am a freelance artist focusing on illustration, caricature and character design!